This special provision can allow veteran households earning more than the annual MAPR to qualify for Pension. As an example, a veteran household earning $4,000 a month could still qualify for Pension if the veteran is paying $2,500 to $4,000 a month for home care costs. The applicant must submit appropriate evidence for a rating and for recurring costs in order to qualify for this special provision. VA normally does not tell applicants about this special treatment of medical expenses or how to qualify for it. VA also does not have standard forms for this purpose. Authority for Allowing Prospective, Annualized, Recurring Medical Expenses. In Most Cases, Medical Expenses Are Only Annualized if There Is Also a Rating. If the claimant is a patient in a nursing home, VA will automatically grant the aid and attendance allowance, and it will not have to be reviewed by a rating service representative. 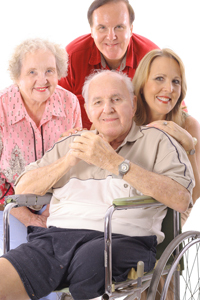 Evidence is required from the nursing home that the claimant is a patient.